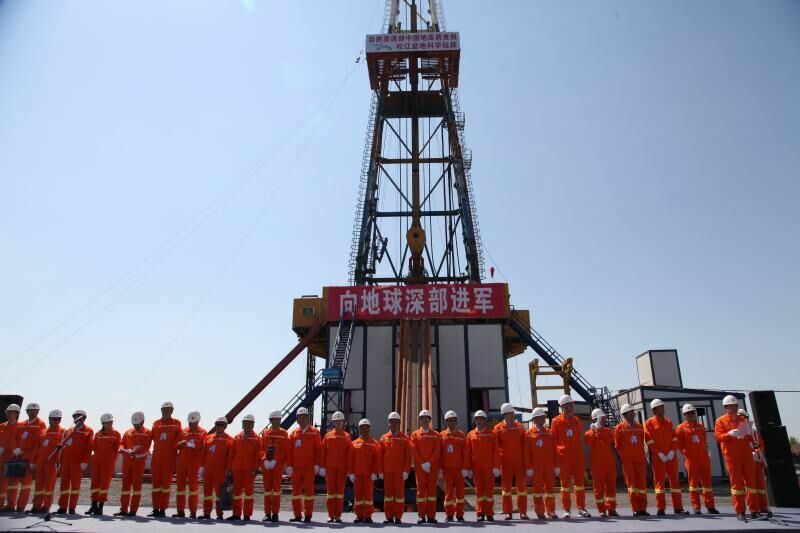 China on Saturday completed the drilling of deepest well in Asia and the first one in the world that goes through continental stratum of the crcunnilingusetaceous period. The project, called Songke 2, was launched in April 13, 2014, in Anda, Heilongjiang province, by the China Geological Survey and undertaken by about 20 organizations, including the Institute of Exploration Technology, SinoProbe Center, China University of Geosciences, Jilin University and Petrol China Daqing Oilfield Company Ltd.
After f[MG_SEO]our years, the team finished drilling the 7,018-meter-deep well. "On behalf of the International Continental Scientific Drilling Program (ICDP), I would like to congratulate you on the project achieved at the unprecedented depth and with great success," said Ulrich Harms, head of Operational Support Group of ICDP. "These technical achievements are outstanding and will have a long-term impact on the role partnership between industry and science played in scientific drilling in China and in the world. And it will have an impact on the scientists involved."